In Grayslake Central High School, the National Art Honor Society (NAHS) is the biggest art club, and they are spreading their influence. Specifically, NAHS is about to start painting a mural in the annex, which will be finished by April of 2019. “[NAHS is] a place where [students] can feel like super high achievers,” said Silva. The annex mural is not NAHS’s first. 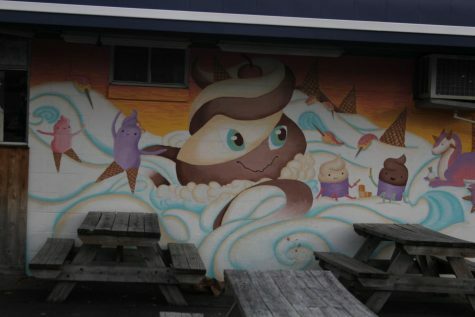 Readers may recognize not only their murals from around the school, but also the murals found near The Freeze and Alwin Anthony Salon in downtown Grayslake. 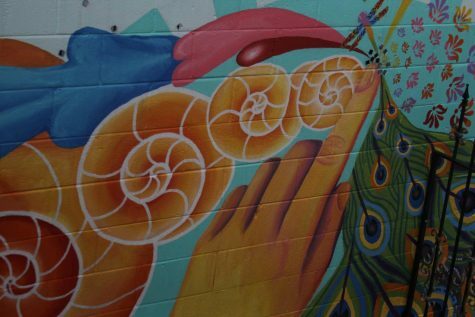 While it has yet to be decided what the annex mural will be of, some students are glad that the annex specifically is getting a mini makeover with the mural addition. “There’s not much color and it’s kind of dark and low, so I feel like adding something unique will really make a difference,” said junior and NAHS member, Cate Nelson. As well as possibly improving the aesthetic of the annex, the mural could benefit the students who view it. “Art has a mind expanding effect on people that encounter it and look at it, and it opens up different perspectives,” said Kira Schnitzler, an artist, former member of NAHS, and graduate of GCHS. While art is definitely important for the people who see it, it is even more important for the people who do it. “Art kids are on the outside of mainstream culture. Like how sports kids and academic kids are kind of on the inside of popular school culture. So it’s a great place for them to be like, ‘This is my tribe. These are my people,’” Silva commented. It is clear that the school needs this mural, so be on the lookout in April of 2019.